The British Car Festival features one of the finest displays of British cars and motorcycles in the USA. Where else could you experience Aston Martin, Austin, Austin-Healey, Bentley, Triumph, MG, Lotus, Morris, Morgan, Jaguar, Jensen Healey, Mini Cooper, Sunbeam, English Ford, Delorean, Metropolitan, Land Rover, Riley, Rolls Royce and TVR vehicles so close and personal? This is your chance to talk with the owners, make new friends and maybe…shop around for that British vehicle you’ve always dreamed of owning! 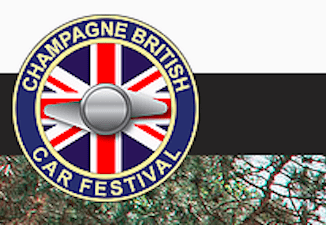 Any British auto or motorcycle qualifies and may be registered to participate. All registrant show vehicles must carry valid and current registration and insurance coverage per state liability requirements! Any individual can attend to view as a spectator free of charge. A whole weekend of British Car fun with honorary chairman Tim Suddard of Classic Motorsports magazine, starting with a social hour on Friday evening. Saturday will begin with a drive in the country and lunch, then return to downtown Bloomington to join in the activities of Steam Punk, concluding with a banquet and presentation by Tim. Sunday will be the public show on the historic grounds of the mansion. 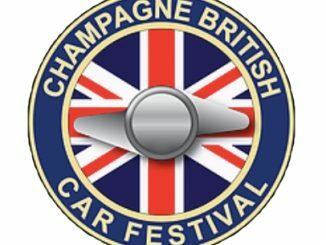 The 25th anniversary celebration of the Champagne British Car Festival will be held on June 3, 4, & 5 in Bloomington, Illinois with John Twist of University Motors as our special guest. Additional information can be had at CBCF-Bloomington.com.